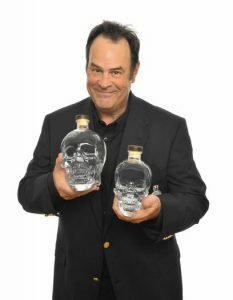 Host Evan Golden met Dan Aykroyd and drank his vodka at ABC Liquor in Sunrise. The actor and — apparently, creator of an über-premium vodka — came to South Florida for appearances on Friday, March 20, to promote his top-shelf Crystal Head Vodka. The skull-shaped bottles cost between $40 to $50 each. Find them at local Total Wine and ABC liquor stores. The official meet and greet was at ABC Wine and Spirits in Sunrise, and later at Stache in downtown Fort Lauderdale, the evening included a performance by the South Florida-based Blues Brothers Soul Band, which launched a record earlier this week.